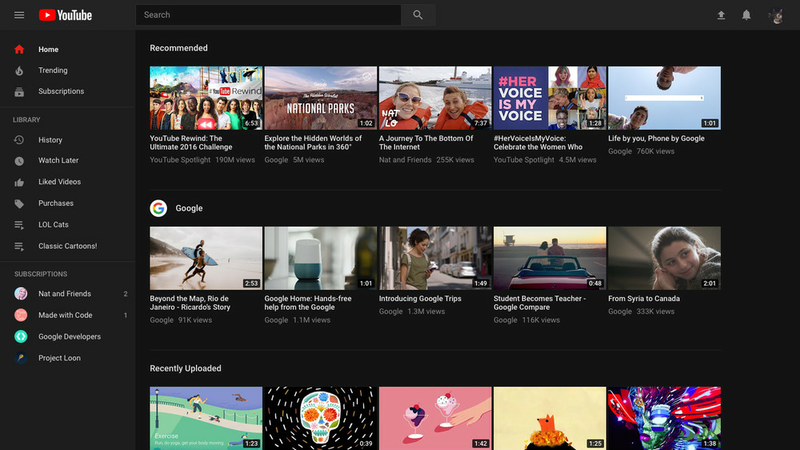 YouTube bundled together a bunch of big changes to its look and feel in a release today. From design tweaks to features, both the desktop and mobile app got significant upgrades. Here’s a quick rundown of everything new. A new logo that loses the emphasis on Tube and adds the now-iconic play button. Notice the new font and color. 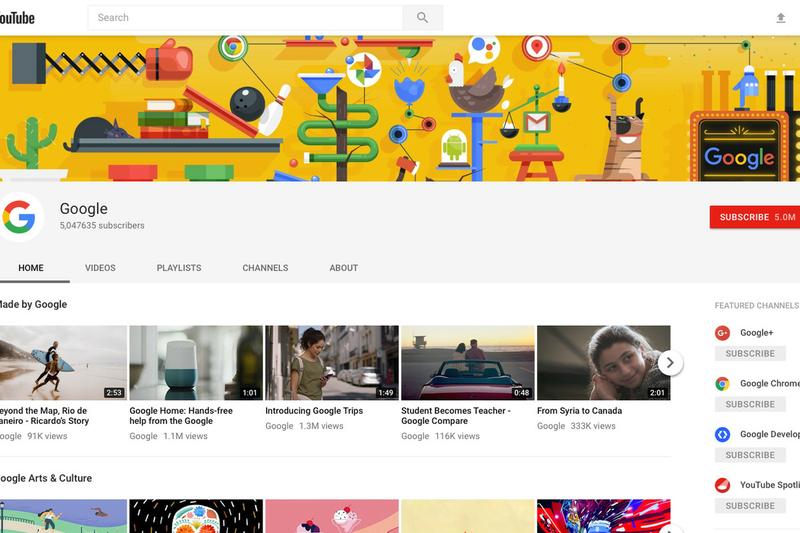 A new look for the desktop that emphasizes Google’s Material design aesthetic. 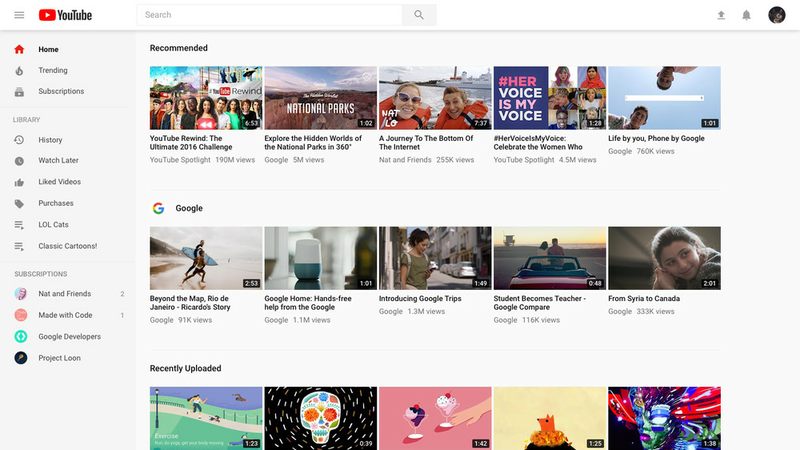 Less red, more white space and extra room for video thumbnails. Desktop now has a new option: dark mode! 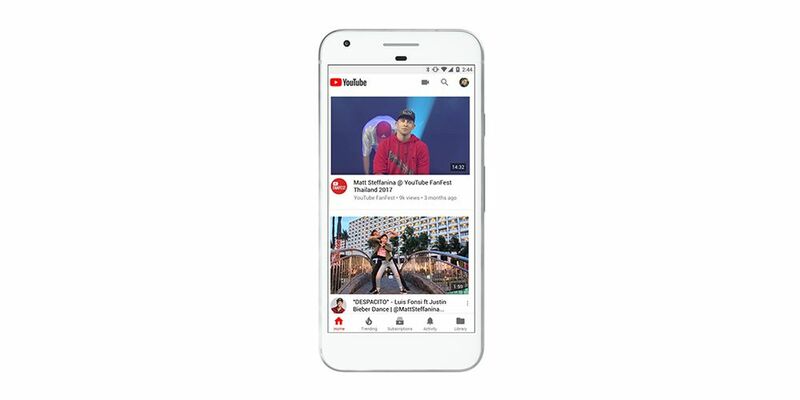 The desktop version of YouTube has changed A LOT over the the last 12 years. The mobile app got Material design too, with more white space and no red banner on top. Along with a new mobile design, variable speed, a popular desktop features, is now on mobile. Finally, the mobile app is getting an adaptive player that can display vertical video without those annoying black bars. Sadly, it’s not arriving today, at least not for most users. This one gets a shoutout in the blog post, but isn’t actually live for everyone yet. Looks promising. If you want more details on the process behind all these changes, you can check out our deep dive into the redesign.